The past week has been spent catching up on sleep and working on my last paper, with a little bit of shopping and sewing sprinkled in. On Friday I decided that I needed a little pick-me-up after the crazy preceding few weeks and so betook myself to the fabric store which was having it's 40% off sale (woohoo! ); I picked up some fabric to make a couple of skirts and some binding and a little voile just because, some teeny-tiny Blythe-sized buttons, thread, Cluny lace (in green and yellow), and a few other small things - it was really nice! I then decided to hit up a couple of clothing stores to see if there was anything I liked and I had one of those few, rare days where everything I tried on actually fit and looked nice - it was really quite lovely! I decided not to buy the two skirts I tried on (even though they were on clearance) because I had already bought fabric to make my own, but I did end up getting two very cute dresses (for super-cheap) because I've decided I want to wear more dresses this Summer and I thought they'd be nice for Quilt Market too. Sorry that I don't have any pictures of those things to share right now, but I do have others! I picked up these books recently - In Stitches on Sunday and Sublime Stitching about two weeks ago. I know that I seem to have a lot of crafty books (which I do), but please don't think that I'm made of money! Almost all of the crafty-type books that I've shown on the blog (literally all except for maybe 3) were bought at my local used bookstore, BMV, which also sells overstock. Each of these books is brand new (not used) but I got them for about 1/3 of the price they sell for in stores - I think that's pretty awesome! I have only bought one crafty book "new" and that was Rashida Coleman Hale's I Love Patchwork and that was because I really, really wanted it and didn't get it for Christmas...oh wait, Anna Maria Horner's Seams to Me was also bought "new" but I got that one with a gift card I received from a co-worker when I left my last job. If you don't have a local used bookstore that is crazy-awesome like mine, may I recommend Book Depository? Their prices are often lower than Amazon (or are the same) and they have free shipping no matter what you buy (i.e. you could spend $5 and get free shipping). They take a bit longer than Amazon since they are based in the UK and they don't have DVDs, but I really like them and I've never had a problem with any of my books. And no, they did not pay me to say any of this, I just really like them! I found them through a tip from Pip (hehehehe, tip from Pip...I'm sorry). I finally found some Peeps and was so excited! Let me preface this by saying that I did see them before Easter, but kept putting off buying any until closer to Easter. Sure enough when I went to buy some they were all gone at my local store and I was very sad...I consoled myself with a Caramilk egg instead. But I found these on Monday after a less-than-stellar visit to the thrift store (did not find one thing I wanted) on the clearance rack at the pharmacy. They only cost me .86 (CDN, including tax), yay! See, I was so excited to find them that I felt the need to take a picture and post it on the blog...do you like the vintage vibe I gave the photo? I figured Peeps needed some vintage colouring. Oh oh, my 1/4" foot arrived yesterday! I am so excited - I ripped open the package as soon as it arrived, put it on the machine, grabbed some scrap fabric, and tried it out. It seems to work perfectly and I can't wait to really give it a go! 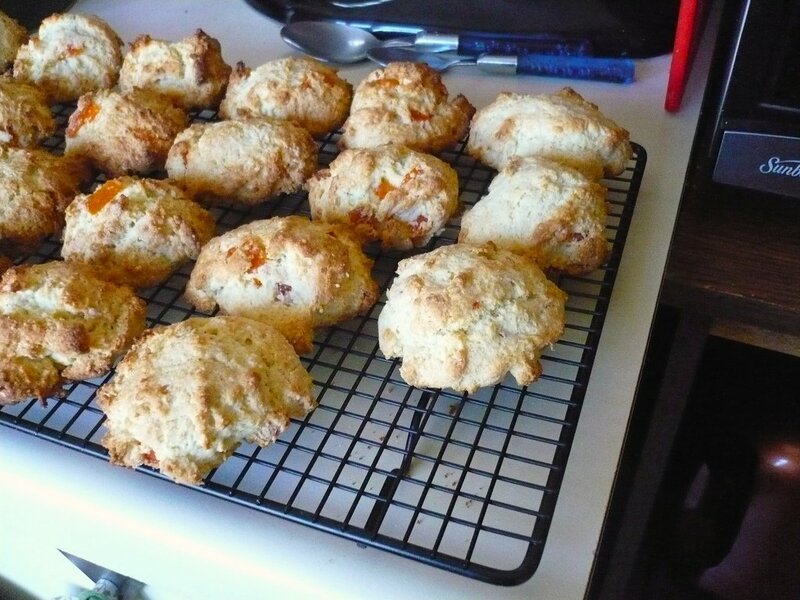 I decided to try making the infamous scones again last night, but with dried mango instead of dried apricots. They are good, but I don't like them as much as the apricot ones. You also need to watch them closely (which I found out the hard way) because they cook and brown quicker than the apricot ones; I think this is because the dried mango pieces have less moisture than the dried apricots. I've been sorting out my fabrics for using with my new quilt designs and the ironing board was both handy and a good size to accommodate all this. I've been sorting the fabric mostly by designer, and then by collection within the designer (can you see my inner-library geek coming out here? ), but there are also a few piles where I put pieces that just looked nice together in one. Don't worry there is more fabric than this...this is just the beginning! Oh, and I created my first Etsy treasury last night! I had a really fun time picking the things to include. If you'd like to see the whole thing (minus the alternates), go here. It's all about patchwork so I'm pretty sure you guys will like it. I'm kinda sad that I'm now out of Peeps...maybe I need to go and find another clearance shelf! Be sure to come back soon as my next post is my 100th here at Miss Print and I'll be having a little giveaway to celebrate! 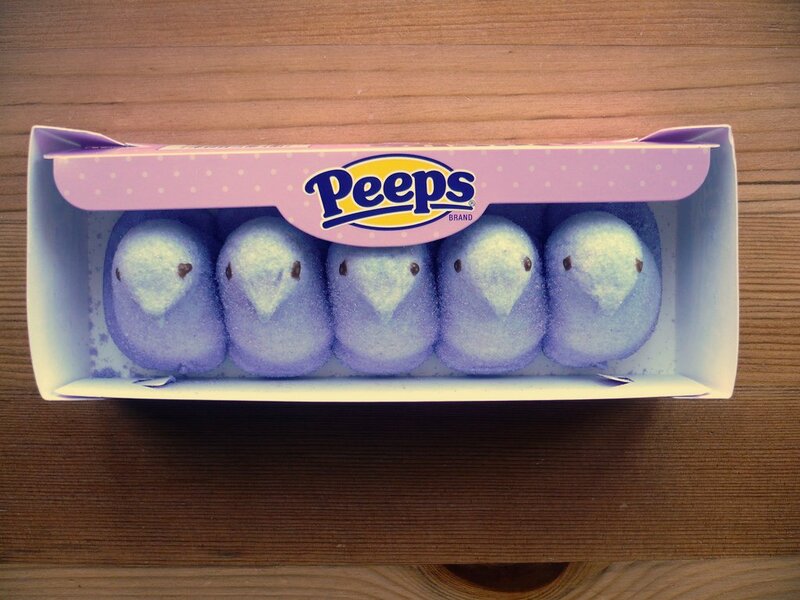 Yay for Peeps. Ours are pink this year. Unfortunately my almost 10 month old discovered them and is a huge fan . . .
What a lovely collection of fabrics! I can't wait to see the patterns you're working on! Lovely fabric. I like to check out crafty books from the library and then decide if I want to buy a copy. If there is just a few patterns I like, sometimes I can sew them up before the book is due back! Haha! 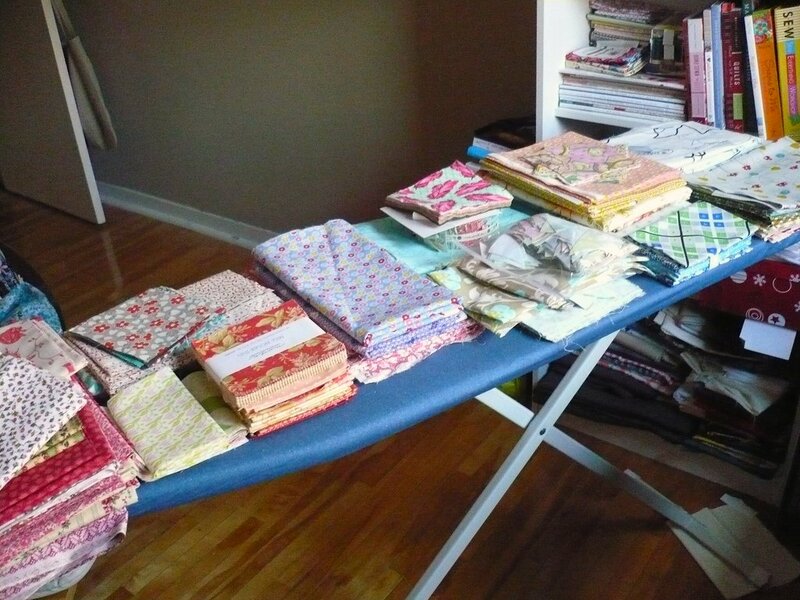 Sorting your fabrics like library books! That is so cuuuute! I love Peeps too! Can't stop eating them! We get them for all holidays here: Haloween peeps, Christmas Peeps, etc. 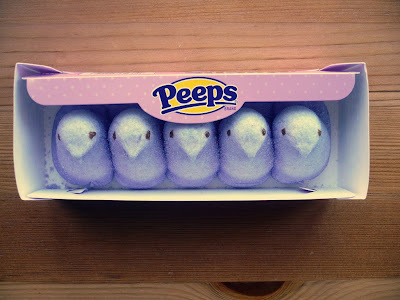 I have never tried a peep, and only just heard of them for the first time this Easter. Hahahahaha, ironing boards are perfect for storage! LOVE your Treasury. Sooo pretty!